By Piers Moyles | March 31, 2014. 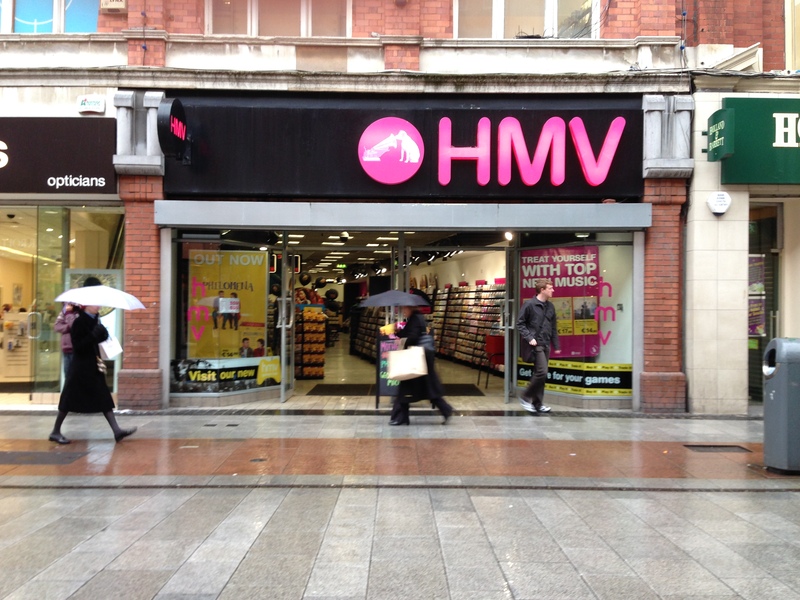 Retail giant HMV is to reopen one of its stores on Grafton Street within the next three months, just over a year after it closed. The store will be located at the old A Wear premises, which went into receivership last year. An opening date has yet to be announced, however, according to the statement it will be in the, ‘near future’. How is the reappearance of one of the UK and Ireland’s biggest music retailers going to affect competitors? Jacinta Ward (32), who is a manager at Golden Discs says that it will affect business, but perhaps not as much as people would think. “A competitor opening next door will affect business, but our unit on Grafton Street is a temporary, ‘pop-up’, store and was only to suffice until we found a larger unit”, she said. HMV entered into administration on the 15 January 2013. 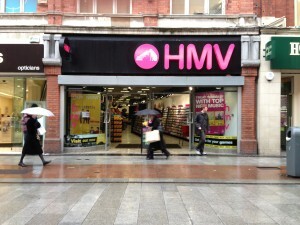 Just a day later, HMV Ireland declared receivership and all Irish outlets were subsequently closed. 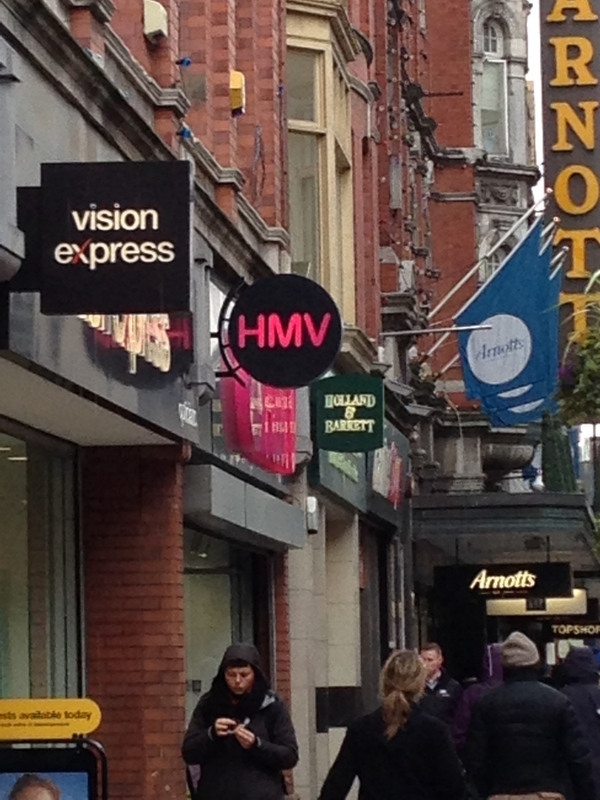 One of the alleged reasons HMV closed was its struggle to keep up with online trends. While Jacinta had no comment on the failings of her competitor, she gave her view on how Golden Discs keeps up with these trends. “Golden Discs has a download store with over 20 million tracks available to download and is about to launch a new online store with fulfilment for CD’s, DVD’s and games”, she explained. Jacinta would not say that HMV’s return was a good thing, but she did say that “it’s a good thing that people are still purchasing music and movies in physical formats, and new home entertainment stores opening is a great testament to that’. There are 37 joint HMV and Xtra-vision stores dotted around the country with a further 11 locations opening over the next month.